HOUSTON, Texas – October 11, 2018 – DynaEnergetics, a business of DMC Global Inc. (Nasdaq: BOOM), today announced it has successfully defended itself in an alleged patent infringement case brought by GeoDynamics, the Downhole Technologies segment of Oil States International, Inc. (NYSE: OIS). This was the third consecutive successful defense by DynaEnergetics of a patent infringement allegation brought by GeoDynamics. BLUM, Texas – November 16, 2018 – DynaEnergetics, a business of DMC Global Inc. (Nasdaq: BOOM), today celebrates the grand opening of its technologically advanced manufacturing, assembly and administrative facilities on its industrial campus in Blum, Texas. The facilities span 74,000-square-feet and significantly expand the production capacity of DynaStage™, the oil and gas industry’s only Factory-Assembled, Performance-Assured™ well perforating system. Don't miss DynaEnergetics at SPE-ATCE 2018. Tour the BOOM 1 Perforating Safety and Technology Trailer and learn more about how our highly engineered technologies are changing the perforating industry. 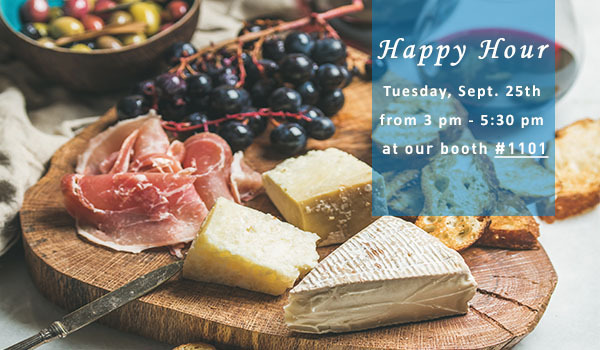 DynaEnergetics will host a happy hour with light snacks and drinks on Tuesday, September 25th from 3 pm - 5:30 pm at our booth #1101. DynaEnergetics is excited to participate as a Gold Sponsor of the 2018 Denver SPE Golf Tournament taking place August 2, 2018 at 1:00 PM to Friday, August 3, 2018 at 7:00 PM in Castle Pines, CO.
All proceeds benefit the Denver SPE Scholarship Fund, with over $20,000 donated in the past year. Houston, Texas -- July 2, 2018 - DynaEnergetics today introduced PYXtreme™, an ultra-high-temperature ballistic train that includes an advanced percussion Initiator, bi-directional booster and detonating cord. The product is engineered and qualified for temperature applications of up to 300°C (572 °F) for one hour, and detonating velocities of up to 6,100 meters per second. Visit DynaEnergetics at the Global Petroleum Show in Alberta, Calgary June 12 - 14, 2018 at our outdoor booth (#3319). DynaEnergetics today introduced the Infinity Surface Tester, an advanced gun-system verification device for use in plug-n-perf completions. The device safely tests full gun-system functionality, including grounding, wiring, as well as the actual detonator and igniter functionality at surface. The RF-safe technology will not initiate any type of detonator or explosive device, enabling concurrent perforating and completion operations at the wellsite. Edwin Reek, VP Product Management and Marketing, has been invited to participate at the 30th Annual Roth Conference on Monday, March 12, 2018, at the Ritz Carlton in Dana Point, CA. HOUSTON, TX--Mar 13, 2017 - DynaEnergetics today introduced two new product dimensions to its line of DynaStage factory-assembled well perforating systems, which are now available in 3 3/8-inch and 2 3/4-inch diameters, in addition to the original 3 1/8-inch model. Tyumen, Russia – (September 19, 2016) DynaEnergetics recently celebrated the grand opening of its greenfield shaped charge plant in Tyumen, Siberia. The opening represented an important step toward establishing DynaEnergetics as a key supplier to the Russian and CIS markets’ service companies and major operators. The facility positions DynaEnergetics as a reliable source for locally manufactured, high-performance charges free of import restrictions.